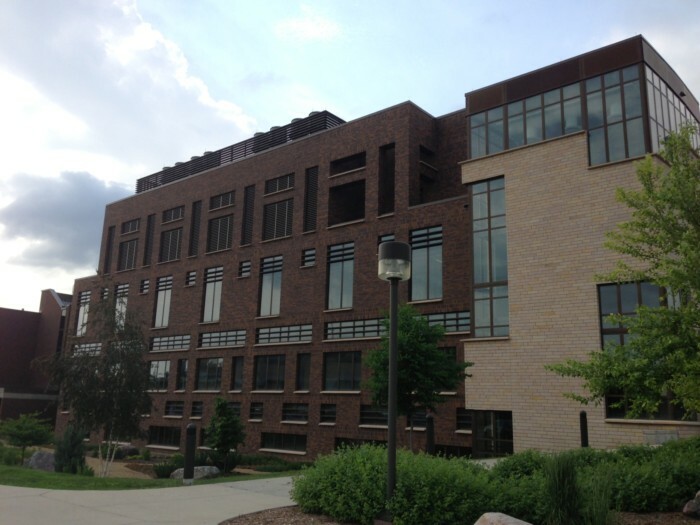 To update the learning space for the science and engineering programs at Minnesota State University in Mankato, the school renovated the existing Trafton Science Center. The project was one of the largest building projects in the history of the Minnesota State Colleges and Universities system, costing more than $20 million. The development consisted of a three-story, concrete-framed, slab-on-grade building with a new cooling tower. We provided the geotechnical services, including drilling and soil observations and testing. We also performed waterproofing inspection services; construction materials testing; and special inspection services, which included concrete, masonry, soil and structural steel observations and testing. The Science Center will cut yearly energy costs by approximately $182,000 by utilizing the building’s green aspects: high-efficiency fluorescent bulbs, harvesting natural light for the classrooms, and a roof device that extracts heat from the air and distributes it back into the building.